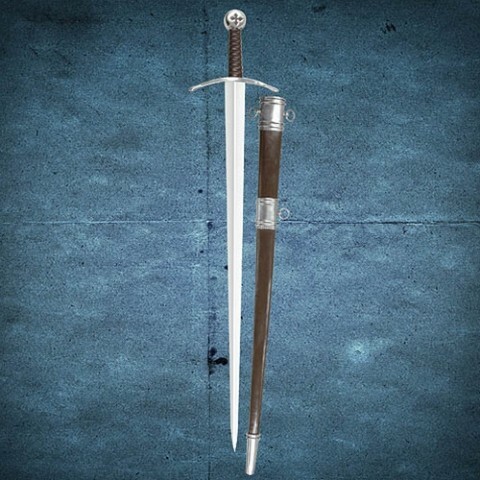 Magnificent sword featuring a steel pommel with a deeply carved cross of the Brotherhood. The cross gave a point of prayer and symbolised the soldier’s devotion to the cause. Named after the battle in which the Knights of St John turned back a huge Ottoman flotilla. 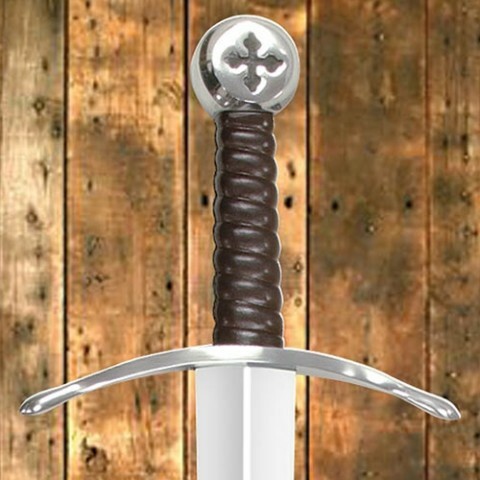 Has a solid steel crossguard with a wood grip covered in genuine stiched leather rubbed to a deep lustre. Unique custom made wood scabbard is covered in leather to match the grip and allows the sword to sit at a rakish angle being the fashion of the time. Well balanced 86cm high carbon steel blade. Overll length 100cm. Weight 1kg.